Sorry folks, store's closed. Moose out front should've told ya. 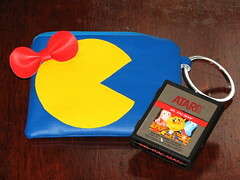 As of November 2011, the Atari cartridge wallet is no longer available for sale. 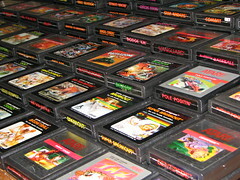 If you own an Atari cartridge wallet and need a replacement, contact me. With most titles sold out and Project Hardball soon to enter a dizzying sprint, the wallets must be retired for now. 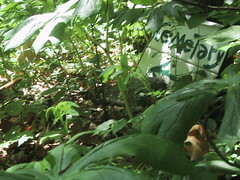 Once Project Hardball is revealed in April 2012 the focus will return to the next generation of wallets. Plans would have the wallets returning in early 2013, but it's a modern gauntlet for a 1-man-show to keep to project timelines while working the standard 40, raising my likeness in larval human form, playing in a dodgeball league and all the other mundane life activities. 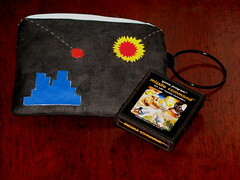 To all the Atari wallet owners & friends, thank you very much for your support. 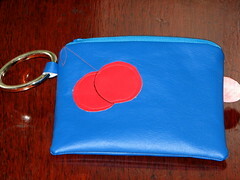 The wallets are a labor of love that I am now addicted to making and making better when they return. I'm beyond thankful to have had the pleasure to meet so many great people through my wallets. I look forward to finally meeting the rest of you friends I haven't yet met. Thank you all for your support. The best, my friends, is yet to come!